Who hosts Music and Markets’ trips? Because of our love for the stories that make the places we visit come alive, we were delighted to launch Music and Markets in 2003. Since that time, we’ve taken dozens of enthusiastic travelers on exciting explorations of life and music in Europe. We look forward to traveling with you to share in the wondrous history, culture and communities of this great continent. 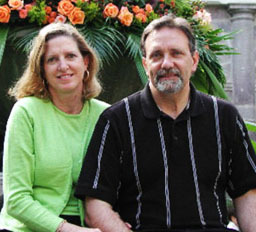 While Kirk and Anne have organized travel and music groups for many years, Kirk’s background is in project management and competitive writing. Anne is an accomplished pianist with over thirty years of teaching experience. She also works as a writer who specializes in French and Italian travel and food.